Being a mom comes with all sorts of anxiety, doesn’t it? I cannot tell you the number of times I have woken up in a sheer panic in the middle of the night about some dream I have of something happening to him. Though at Hayes’s age our anxieties are lessening there is still the biggest concern, is he getting the right nutrients every day? As he has become a completely self-reliant eater and opinionated about what he consumes this question increases so I have been on the hunt for ways to make sure he is getting what he needs to put my wandering anxieties at ease. 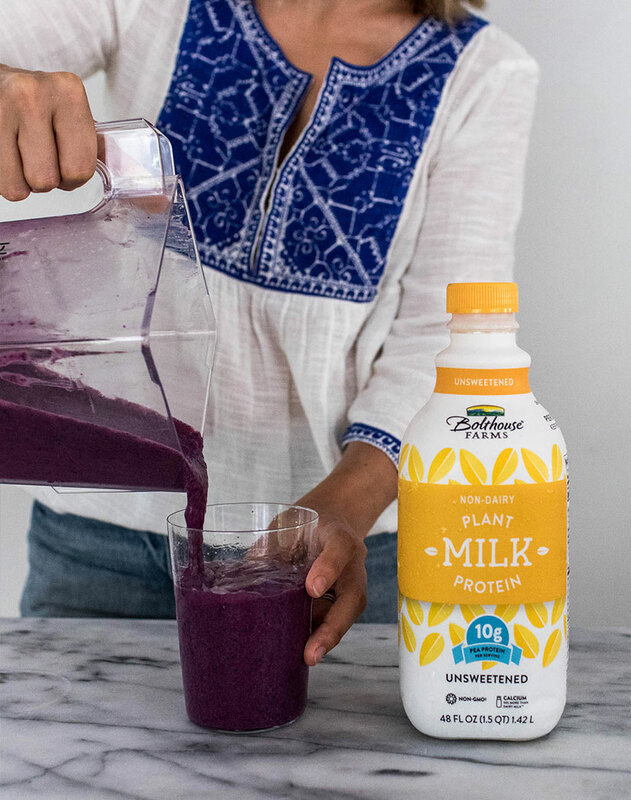 Just recently, Bolthouse Farms released a Pea Protein based Plant Milk that nut-free, gluten-free, and vegan-friendly. 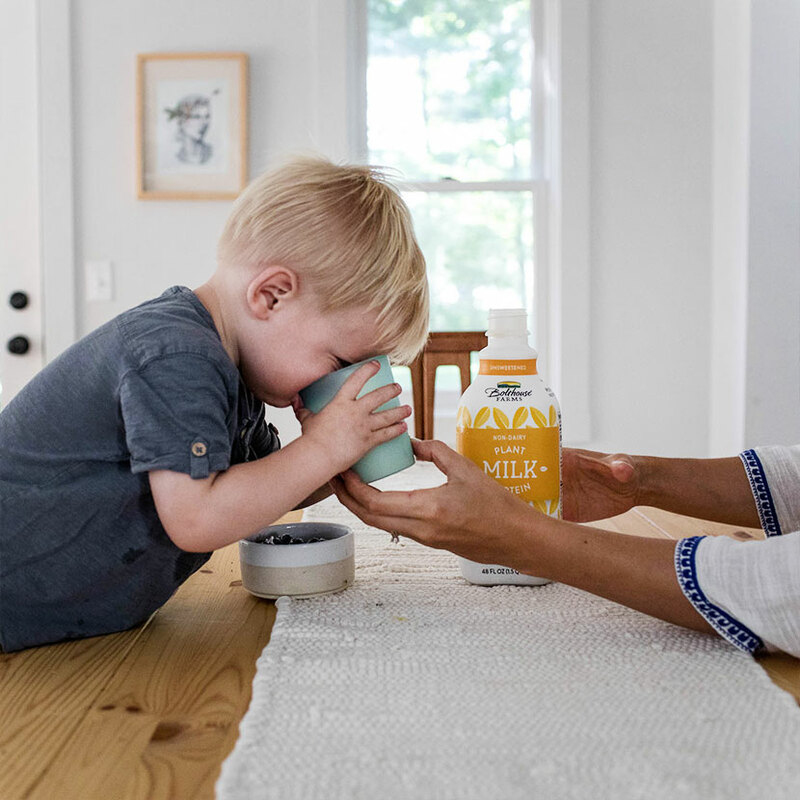 The milk comes in lots of different flavors including unsweetened, vanilla, chocolate, and more. All of them are very yummy and good, though we stick to the unsweetened or Plain in our house. What is great about this stuff though is that it packs a high nutrient punch. 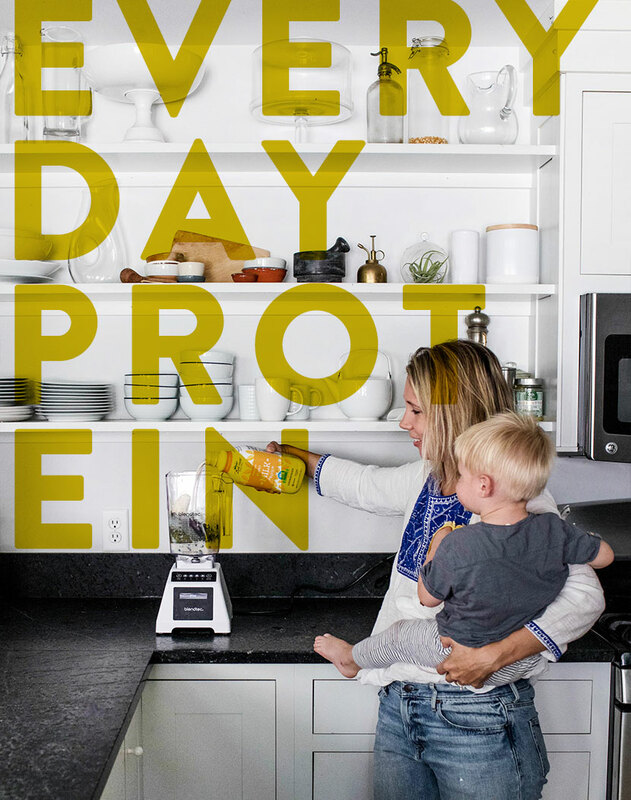 There are more than 10 grams of pea protein per 8 oz. serving vs 1 gram of protein in almond milk. Not to mention there is more than 50% more calcium in it than traditional dairy milk. Pretty amazing when you think about it. Personally, in our house, we start every day with a smoothy full of lots of nutrient-rich things but still keep it yummy. We love to use Blueberries, which are lower in sugar as well as a banana as our base. From there we add Spinach, Beets, Bolthouse Farm’s Plant-based Pea Protein Milk, along with Almond Butter, coconut oil, Spirulina, Collagen, and ginger. 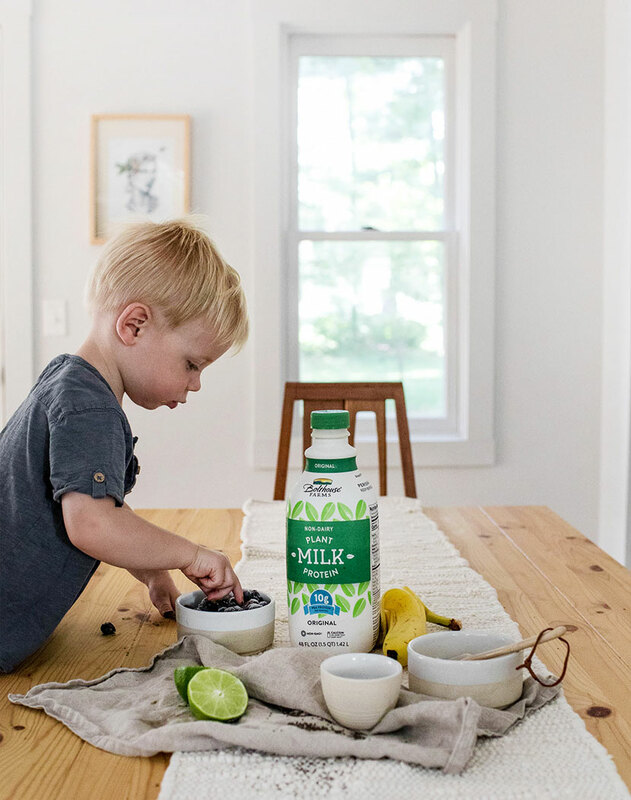 I am all about the smoothie in the morning with kids because it assures me every day, that if he ate his smoothie he got a balance of everything he needs for the day. 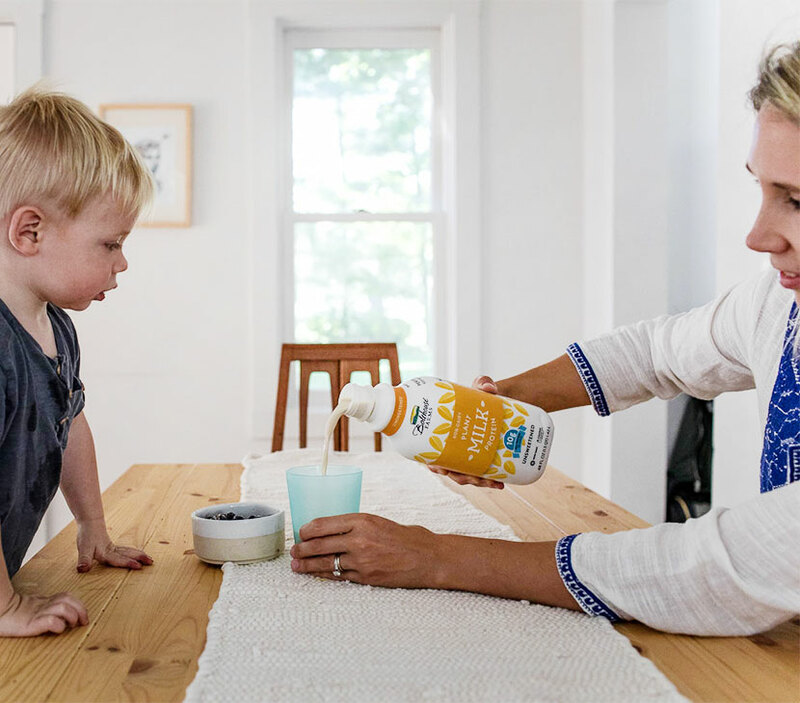 We are big fans of a great plant-based milk around here there is no doubt and plan to use this new one from Bolthouse Farms for our everyday boost of protein in the morning. 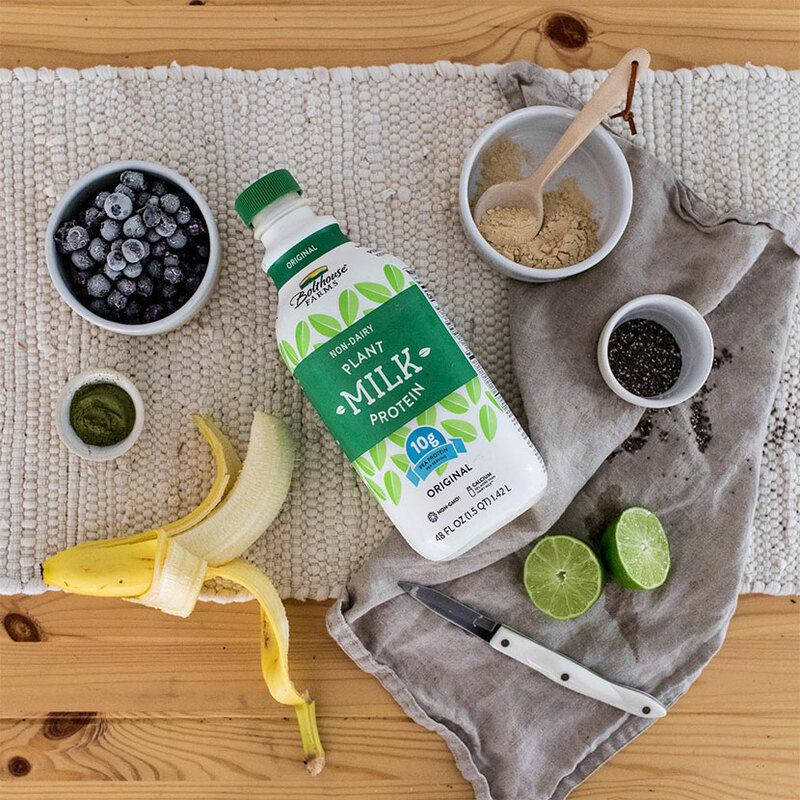 So tell me what is your favorite way to enjoy your Plant-Based milk each day? This post was sponsored by Bolthouse Farms. All thoughts and opinions are our own. Thank you for supporting the brands that support the Fresh Exchange every month. curious about the taste compared to almond milk. does it taste like peas? Nice product! Thank you for the review!